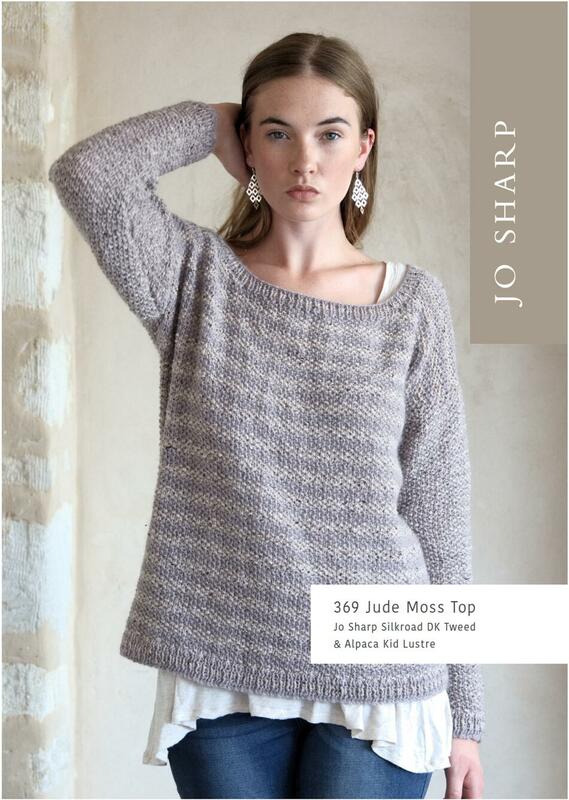 Jo Sharp&apos;s simple striped Jude pullover sweater is worked in moss stitch for great all over pebbly texture. A mix of Alpaca Kid Lustre and Silkroad DK Tweed give it a richly heathered look and the blend of luxurious fibers is warm, soft and lightweight. 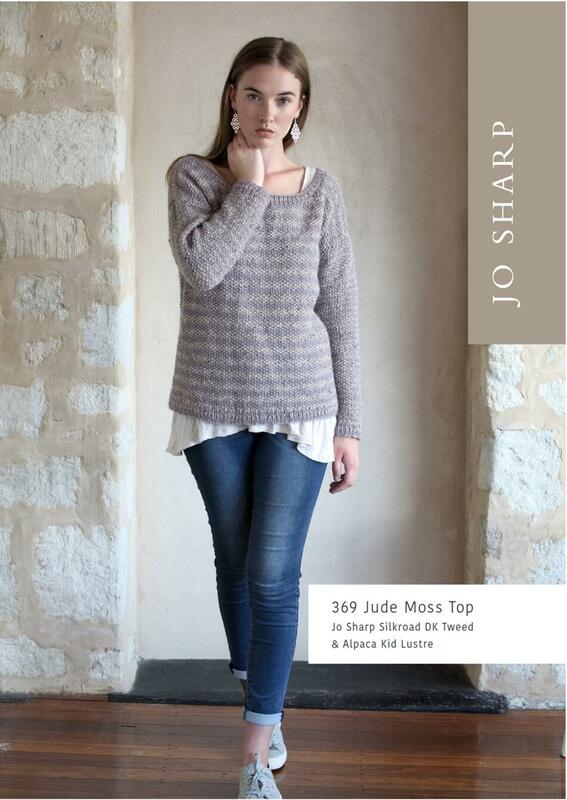 Styled with a flattering boatneck and easy shaping this sweater is an intermediate level project. Suitable for many DK weight yarns.